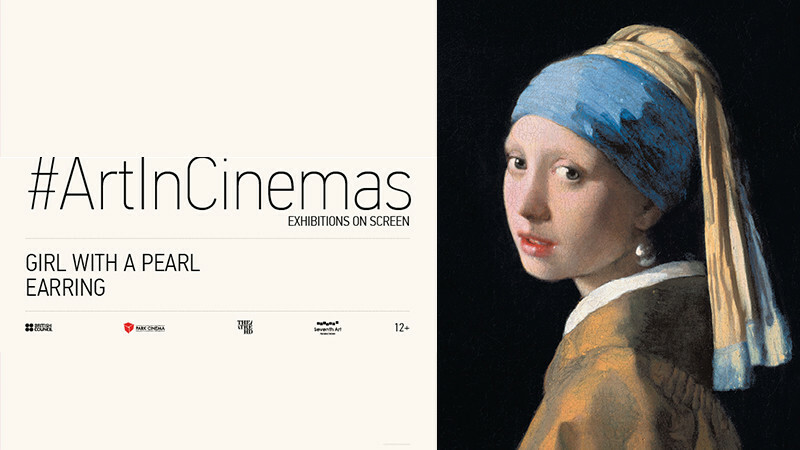 Girl with a Pearl Earring in Park Cinema Flame Towers buy tickets online. Delivery of tickets for the event Girl with a Pearl Earring. Discover the secrets behind one of the world’s most enigmatic masterpieces. ‘Girl with a Pearl Earring’ by Johannes Vermeer is one of the most enduring paintings in the history of art. Even today, its recent world tour garnered huge queues lining up for the briefest glimpse of its majestic beauty - In Japan 1.2 million people saw the exhibition. Yet the painting itself is surrounded in mystery. This beautifully filmed new documentary seeks to investigate the many unanswered questions associated with this extraordinary piece. Who was this girl? Why and how was it painted? Why is it so revered? After its world tour, the ‘Girl with a Pearl Earring’ returned to the much-loved Mauritshuis in The Hague, Netherlands, which has just completed extensive renovations. Enjoying unparalleled exclusive access to this historical exhibition, the film takes the audience on a journey as it seeks to answer many of the questions surrounding this enigmatic painting and its mysterious creator, Vermeer. Using the recently completed and highly complex makeover of the museum as its starting point, the film goes on a behind the scenes detective journey to seek out the answers that lie within the other masterpieces housed in the collection.